You can't get rarer than the 1934 BMW R7. Only one was built as a prototype and it never went into production. If you're part of motorcycling's economic one percent, you now have an option to buy a modern motorcycle inspired by the R7's distinctive Art Deco lines, however. 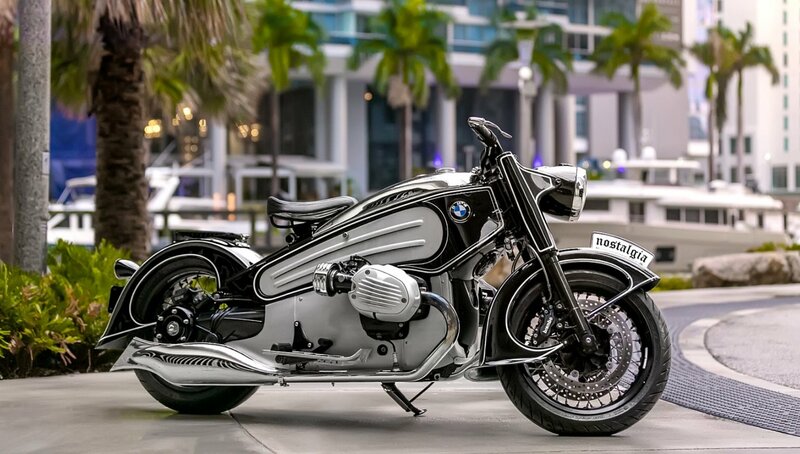 Miami studio Nmoto has produced a kit that turns a BMW R nineT into this homage to the R7. 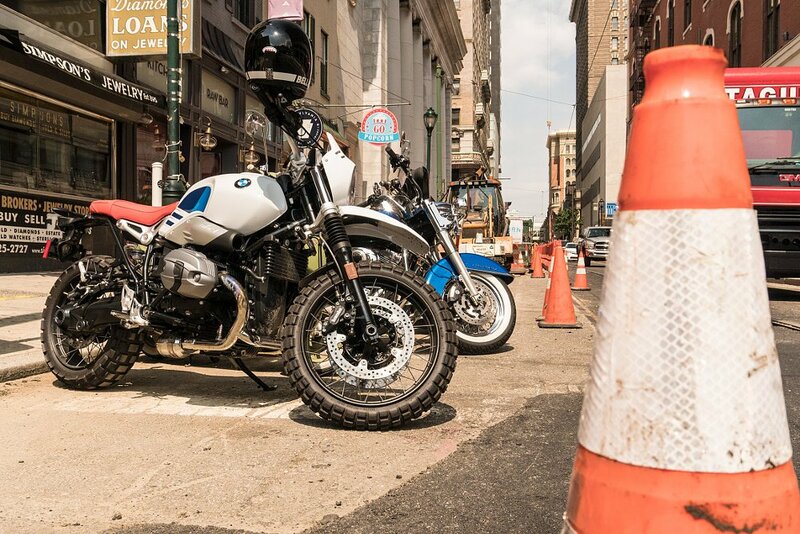 The Nmoto is based on the BMW R nineT and retains all its functionality, including electronic rider aids. Nmoto photo. The Nmoto Nostalgia has been displayed at a few shows (most recently at the IMS show in New York) and Nmoto is taking orders. A finished bike will cost you $49,500. 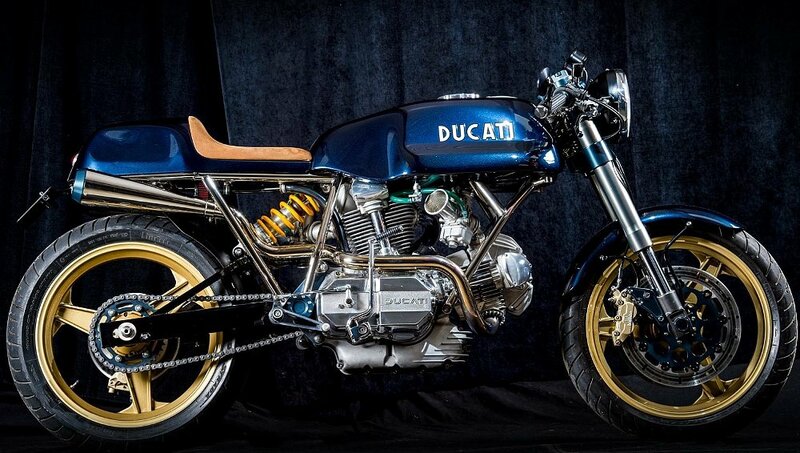 Among those who have already put in orders, according to Nmoto, are a couple of Long Island guys well known in motorcycle circles, namely singer Billy Joel and Peter Nettesheim, who owns an extensive and impressive private collection of BMW motorcycles. Because the Nmoto is based on a new R nineT (included in the price), you'll be able to enjoy riding it, if you want, instead of just placing it on a pedestal. While the original R7 was a hardtail, the Nmoto retains that look but also keeps all of the R nineT's modern running gear. Unexpected touches show that attention was paid even to low-profile parts. Like a floorboard. Nmoto photo. Since it did not go into production, the original R7 prototype went into storage and gradually deteriorated until it was restored in 2005. One of the people who saw the resurrected R7 and was captivated by it was Nmoto founder Alex Niznik. He decided to build a modern motorcycle with the style of the 1934 R7. Eleven color options are available. Nmoto photo. Nmoto created a kit of aluminum parts that bolt on to the R nineT to create the look and one benefit of all that aluminum is that it weighs less than a stock R nineT. Customers also have a long list of choices for customization, starting with 11 color combinations and other trim options. Miami is exactly where you'd expect to find style like this. Nmoto photo. 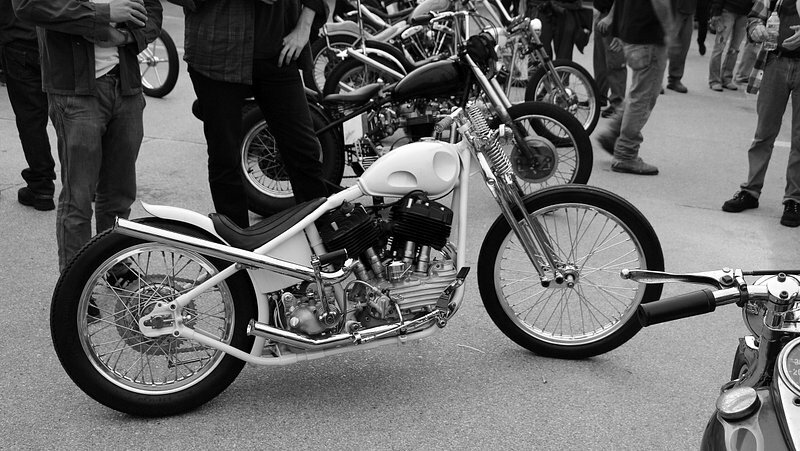 We don't write a lot about custom or extremely limited-production motorcycles here at Common Tread, partly because there are other good sites that devote themselves full-time to that task. But the Nmoto stood out enough from the norm that I thought it was worth a discussion. Art Deco style is often polarizing. Some people think it's the greatest thing ever. Personally, I don't care for it — but, the last time I checked, you know what you like and don't like, and that assessment was approximately 0.01 percent based on my opinion. So what do you say, Common Tread readers? Would you want to take this nostalgia ride?